Katie has been playing tennis since she was 6 years old, but it wasn’t until her sophomore year that she realized she needed to move from her home in New Jersey where access to good tennis programs were limited, and move to Smith Stearns where she could really focus on improving her game. She has now been a member of the academy for almost three years after a week visit as a guest made her want to join Smith Stearns on a full time basis. The special bond she has created over the years with her coach Jolene Watanabe has been something she always cherish, and she credits Jolene directly for the success she has achieved both on and off the court. The experiences Katie has had at the academy are endless, but a few have really stood out to her including the Universal Trip where she has great memories with her friends as well as team competition days and stick ball. The lifelong friendships and memories are things she will always have to remember her time at the academy. Katie is most proud of earning herself a full scholarship to attend the University of Wisconsin this fall, as it is the direct result of years of hard work and dedication to the sport. Katie has been a top Eastern Section player over the course of her junior career and is a top 100 recruit in the nation for her senior class. In the 16 and under division she was a Finalist in the Gator Bowl National Tournament and that stands out as one her most memorable experiences as a player. 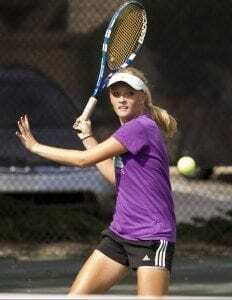 Katie is also an avid doubles player as she has won numerous sectional titles over the years. The University of Wisconsin will be Katie’s new home over the next four years and she is thoroughly excited to see what college has to offer! The combination of strong academics and athletics, as well as having a great coach and teammates, ultimately made Katie choose to be a Badger. 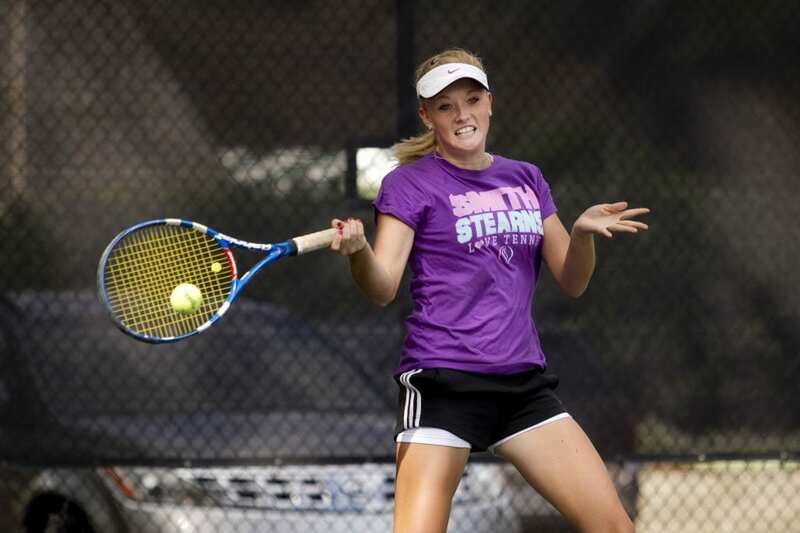 She is most looking forward to having a team experience in tennis and creating more lifelong friendships. With Katie’s dedication to the sport and to life, it is apparent she will thoroughly enjoy her collegiate experience and find success along the way!